competency in helping students who are struggling academically. between the student, parent, teachers, guidance counselor, and advisor. challenges or changes in lifestyle. welcome students who have struggled in their education for any reason. and a graduation ceremony among many other in–person activities. can be found at http://mi.insightschools.net/. online education programs. 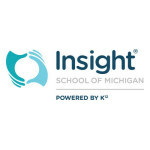 For more information about ISMI, visit http://mi.insightschools.net/.